In keeping with the vow of the self-appointed demons within Nigerian government bodies to stagnate and frustrate every sector of the economy today and in the future, ASUU decided to go on an indefinite strike on the 14th of August, 2017. The organisation is doubling down on its objectives to ensure that the future of 1.2m+ student bankers, doctors, food production experts, engineers etc are jeopardized with neither delay not mercy. But in the triumphant and ever-optimistic spirit with which Nigerians have generated their own power, water, security, healthcare etc, a number of small startups and businesses stepped forward to provide displaced students with internship opportunities and even temporary jobs. 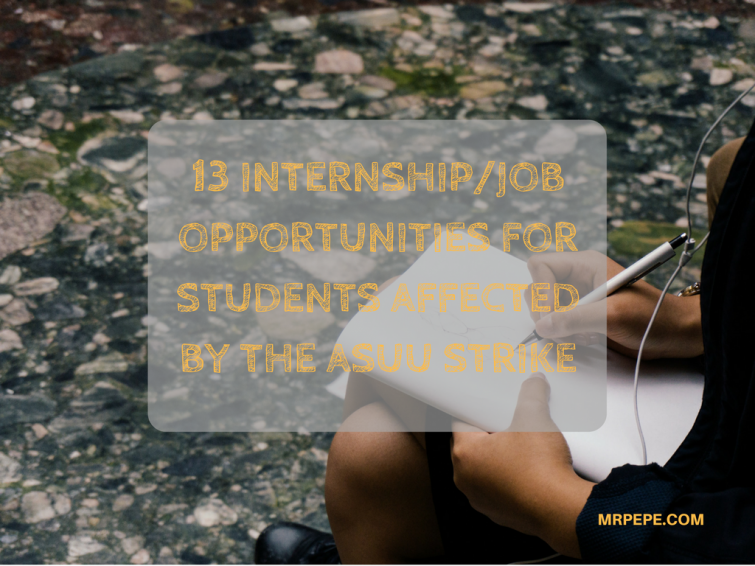 In this post, I will mention all the jobs and opportunities on offer for these students, and please feel free to mention any I might have missed in the comments section. Wonderful post..keep doing the good work.I love your contents. This is so encouraging, Godwin. Thank you! !